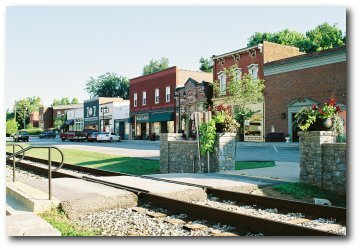 Nestled in the heart of horse country in beautiful central Kentucky, Midway is a picturesque village of 1,620 people. With a veritable Who’s Who list of fine dining and upscale shops, Midway has become known as a destination getaway for people in Kentucky, as well as throughout the southeast. For those who don’t live in town, the drive through rolling hills and old stone fences—as well as the unique excitement and warm spirit of Midway Baptist Church itself—will convince you that the difference is indeed worth the distance. Still, Midway—like all communities—has many needs, offering opportunities for ministry and mission. Ministries such as Meals on Wheels, our Food Pantry, Northside School Backpack Ministry and Share the Joy all address these needs.